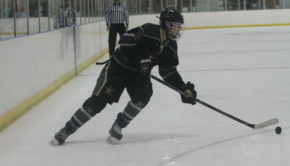 The 2014-15 Vanderbilt Commodores tore through their regular season schedule, with an 18-4 record and outscoring opponents by 90 goals. However, due to a scarcity of matchups with ranked opponents and an underwhelming performance at the SECHC Tournament, the team was not extended an invitation to the ACHA D3 South Regionals. This year’s edition of the Commodores looks to silence the doubters, taking on a tougher schedule and playing more of the top teams in the southeast. The season kicks off with a home game against SEC foe Florida followed by a trip to Columbia, SC to take on the Gamecocks. 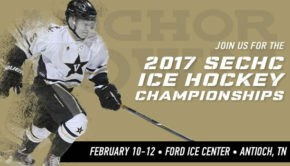 The next weekend, Vanderbilt will host the second annual College Hockey Scholar Shootout. After the conclusion of what has quickly become one of Vanderbilt’s marquee events, the squad will take on a number of challenging competitors including SEC rivals Ole Miss and Arkansas, along with a first time matchup with Delaware and a game against Clemson. 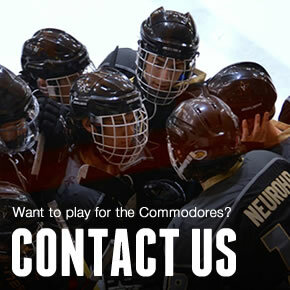 In early November, sparks will fly as the Commodores travel to Knoxville to take on the Tennessee Ice Vols. The team from the east is certainly looking for revenge after a two game sweep last season which saw the boys in black and gold outscore UT 14-5 and featured a very physical brand of hockey. That will serve as a precursor to the latest of Vanderbilt’s Thanksgiving adventures, a trip to Orlando to participate in a showcase hosted by UCF. In the few short weeks that remain in the fall semester, the Dores will finish off with a game each against Alabama, who has moved up to the D1 level, and Life University. Upon returning in January, Vanderbilt will begin with a road trip to Indiana and away games vs Life and Georgia Tech before returning home to play two games against Georgia. This home series leads right up to the SECHC Tournament, where the Commodores hope to compete for a championship as well as impress the rankings committee ahead of this year’s regional tournament.